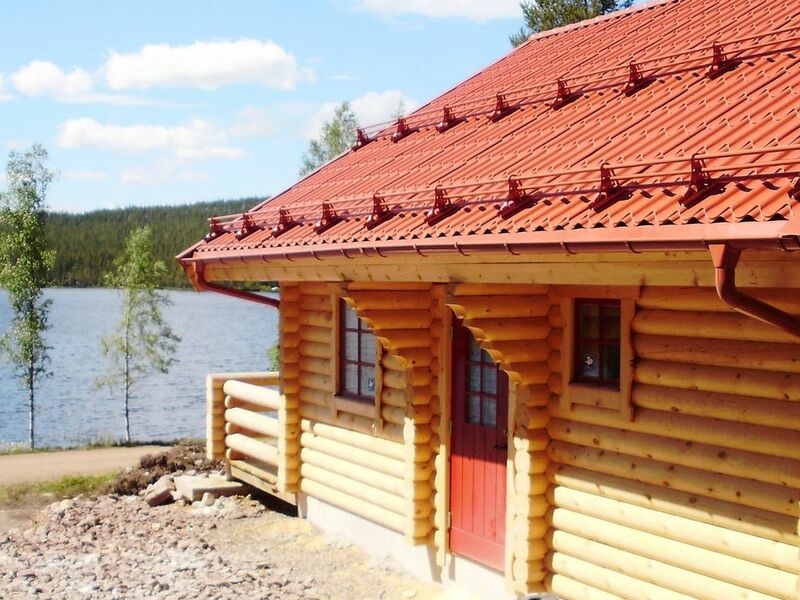 This delightful holiday home is a newly-built log cabin set by the beautiful lake Närsjön. It comes with a separate wood-fuelled sauna, a plastic rowing boat, and a lovely terrace overlooking the lake. This is a wonderful place to relax and enjoy nature! The open plan kitchen and living room features a high ceiling. The kitchen is modern and well equipped, and opens onto the lovely terrace. In the living room you will find a wood burning stove and a TV with about 40 channels. The bathroom is fully tiled and features a shower cubicle. There are two bedrooms, one featuring a double bed and the other featuring a bunk bed. The charming mezzanine features two comfortable mattresses. The charming cabin is set between Hundfjället and Stöten, less than 200 metres from a lovely bathing spot. There are lovely hiking courses in the area and there are fishing possibilities. Don't forget to buy a fishing license, they can be purchased at the grocery store ICA or in the sports shop in Rörsbäcksnäs, 13 kilometres from the cabin. Please note that the shed is not included in the rent, neither is wood. Welcome to this unique and cosy holiday home!